Ridesharing companies have been around for years now, but they still have failed to make a convincing case they know how to deal with their sexual assault and harassment problems. On Monday, lawmakers sent a letter to the CEOs of Uber, Lyft, Juno, Curb, and Via, calling on them to provide more information on their policies around those exact issues. Nine members of Congress sent the letter, which was drafted by Democratic representatives Joe Crowley and Lois Frankel, CNN reported. The letter closely follows an investigation from CNN that revealed that at least 103 Uber drivers in the country have allegedly sexual assaulted or abused their passengers in the last four years. CNN also used the same methodology to find that Lyft had 18 instances of sexual assault or abuse accusations in the same timespan. In the letter, the representatives point out that ridesharing companies have taken some measures to improve the safety of their platforms (such as emergency buttons within the apps, annual background checks of drivers, and public transparency reports), but they also note that these immediate, reactionary measures aren’t enough. “While these positive steps to create a safer experience for riders are laudable, it is critical that these initiatives are more than just a temporary response to negative press reports,” the letter states. The lawmakers appear to be making some pretty reasonable requests in the letter. For instance, they want to know about the process for reporting sexual violence and discrimination as well as whether new drivers receive training regarding the company’s sexual violence and discrimination policies. They also want to know if the ridesharing companies are keeping records of drivers accused of sexual violence and discrimination, and whether that information is available to users who may hail a ride from them. What’s more, they want to know if, in the event a driver is reported for sexual harassment or discrimination, that information is shared with other ridesharing services. It’s not uncommon for a driver to work for more than one ridesharing company at a given time. Uber recently made some changes in an effort to take safety more seriously. For one, it will now let individuals with claims of sexual assault or sexual harassment have their case heard in a trial by jury. Until last week, when the policy update was announced, these individuals were forced into arbitration, meaning their dispute was settled by a third party behind closed doors. The company still prohibits collective action, however, so survivors of sexual assault and harassment are unable to pursue a class-action lawsuit. Lyft mirrored Uber’s move hours later, also freeing drivers, riders, and employees from arbitration for individual claims of sexual assault and harassment. 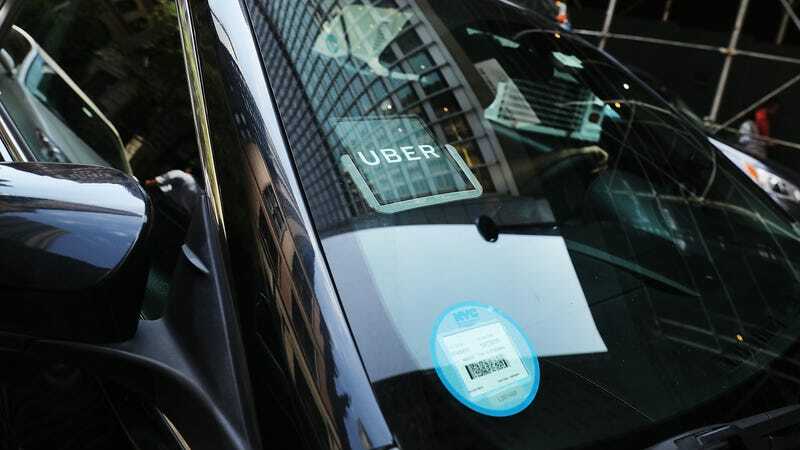 “It’s one step toward making a change, but just bringing the issue into the open doesn’t solve the problem,” Jeanne Christensen, a lawyer at Wigdor LLP—the firm representing the women who first filed a class-action lawsuit against Uber last year—told Reuters. Uber failed to recognize the women’s class-action lawsuit, and its policy update last week still won’t allow them to pursue it. We have reached out to Uber, Lyft, Juno, Curb, and Via for comment and will update with a response.